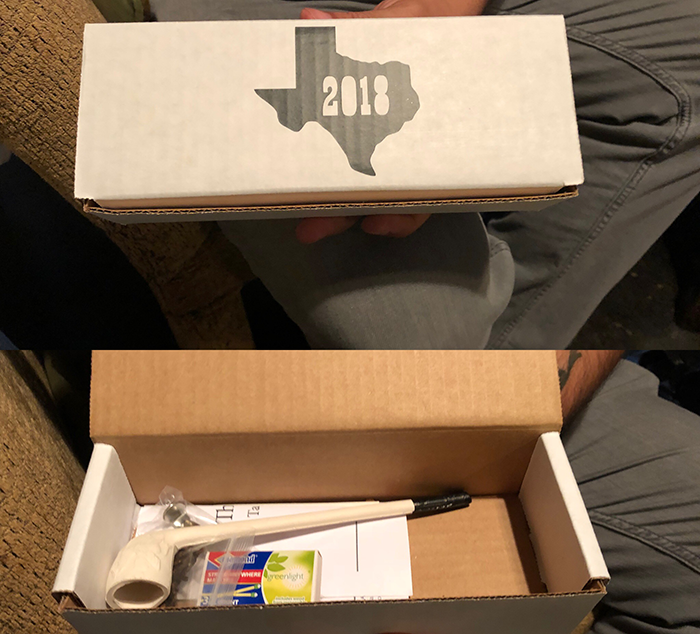 The Texas Pipe Show has come and gone, and I thought it would be a good idea to recap the show, post some pictures, and share some commentary from some of the folks that attended. 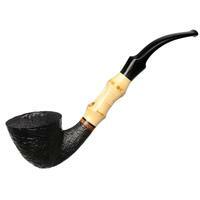 The Texas Pipe Show this year was the 2nd year in a larger format. 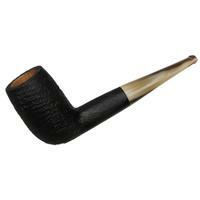 In prior years, it existed as more of a trunk show in a smaller venue with a couple of local carvers. 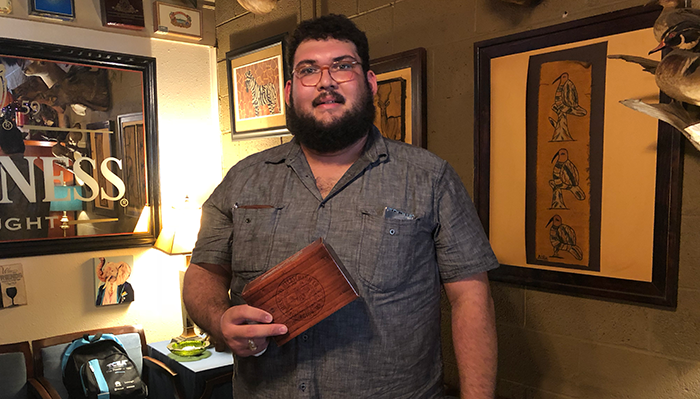 The 2018 show improved upon last year’s show with more visitors from out of state anxious to meet with local Texas carvers and vendors as well as sample some of the great BBQ that Texas has to offer. All in all, the show had around 300 or so attendees and vendors work their way through over the course of the event. While the show took place over a Friday evening and a full day on Saturday, I can’t quite call it a 2-day event. 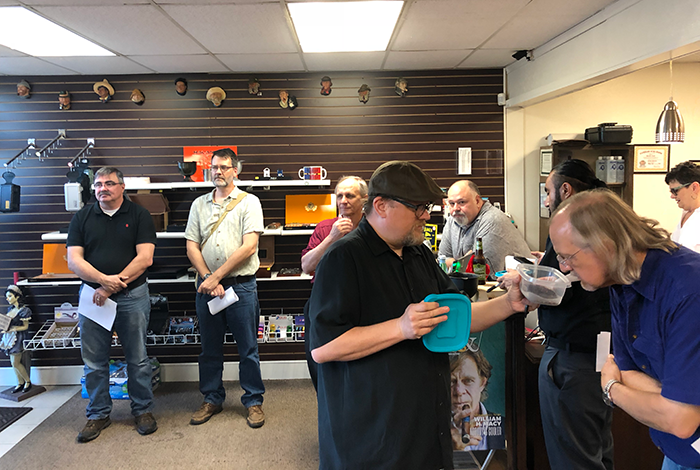 This year, for the first time, the show included a blending seminar and contest sponsored by Scandinavian Tobacco Group/Lane (STG), hosted at Tobacco Cabana, and presented by special guest speaker Jon David Cole, who gave a talk about the tobacco provided. 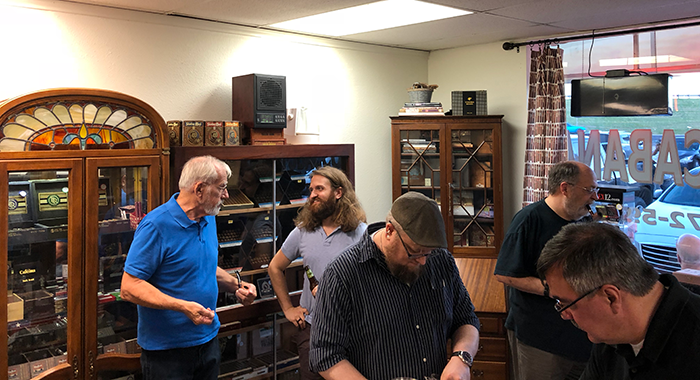 Jon David worked his way through the 12 or so blends that were available for the blending seminar and described in detail each tobacco, cut, and use. 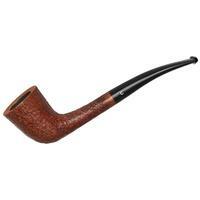 Additionally, he spent time talking about condiment tobaccos such as latakia, perique, and orientals. 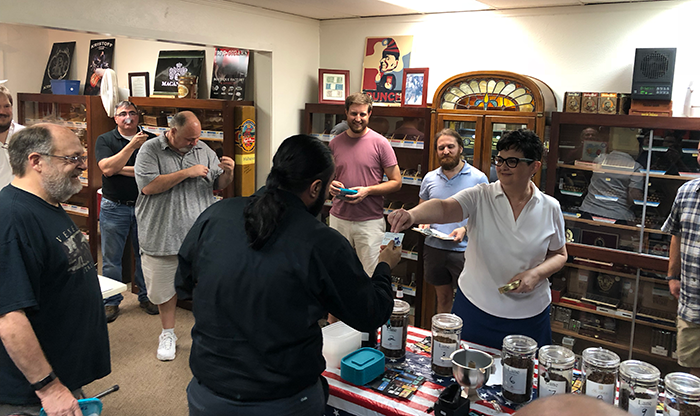 This brief seminar was paired with a blending contest where attendees could take a small Tupperware dish and get a few ounces of tobacco to mix, test, smoke, and then be judged. 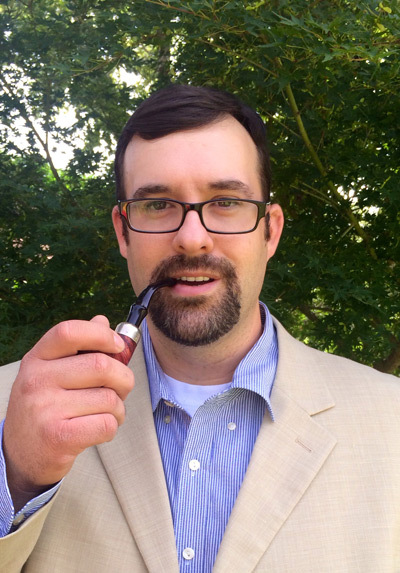 Each entrant took a piece of paper, logged their tobacco recipe part-by-part, and then named their special blend. 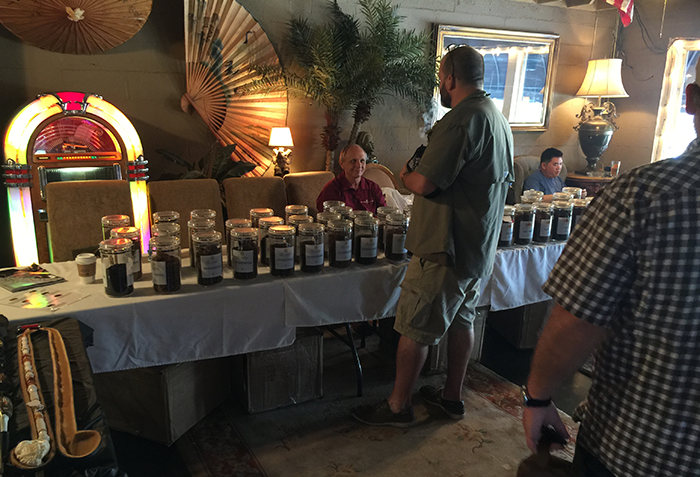 All in all, we had more than a dozen blends submitted for judging and attendees voted on the best blends. Prizes were awarded by the number of votes, as well as a special prize for the best name. First prize received a $75 gift card to tobacco cabana and a tin of tobacco. The seminar was a great success, and everyone walked away with a bit more knowledge to apply to their own blending methods. 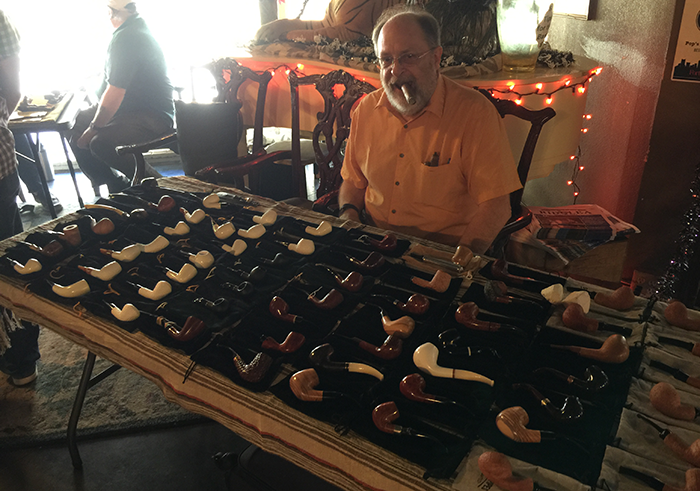 The next day [Saturday] was the actual Texas Pipe Show and vendors arrived around 9am to setup at Pop’s Safari Room. 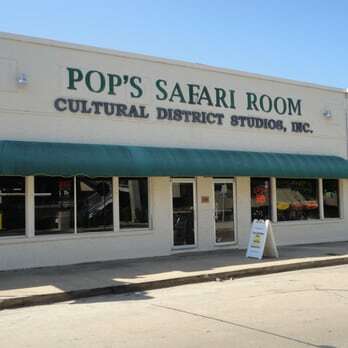 Pop’s is located near down-town Fort Worth in the West 7th district which houses tons of restaurants, shops, and urban living. 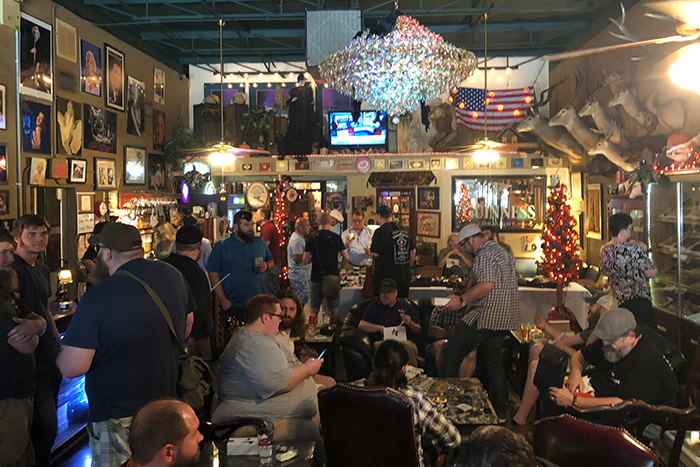 Some of the key points about the venue are that you’re able to smoke inside and Pop’s has a coffee, wine, and beer selection that is second to none. 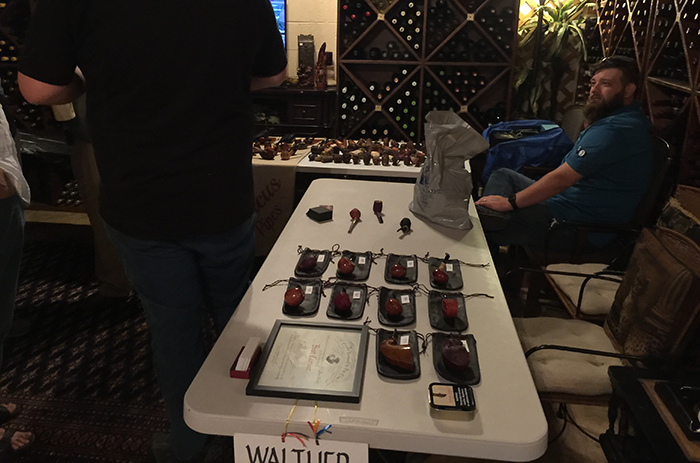 The show somehow managed to fit one more table in the room than last year and add a few more vendors and carvers. We had some newcomers to the show like Premal Cheda, Trey Rice, and Kevin Brackett who all told me they planned on coming back next year. 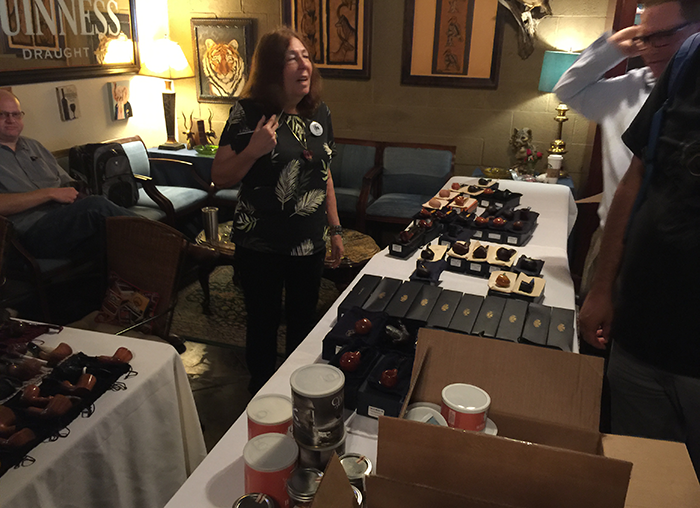 We also had the Dunhill Rollagas Collectors group showing off their collection as well as selling refurbished and lifetime guaranteed Dunhill lighters. If you didn’t snag one at the show, look for them in retailers as they start popping up. Fitting the show into a tobacco shop and lounge is no small feat. All the clubs across Texas came with tables, table clothes, or accessories to make the show go off without a hitch. As people arrived, the staff at Pop’s opened up tabs for coffee that soon changed to beer and wine as the stories, cajoling, wheeling, and dealing began. 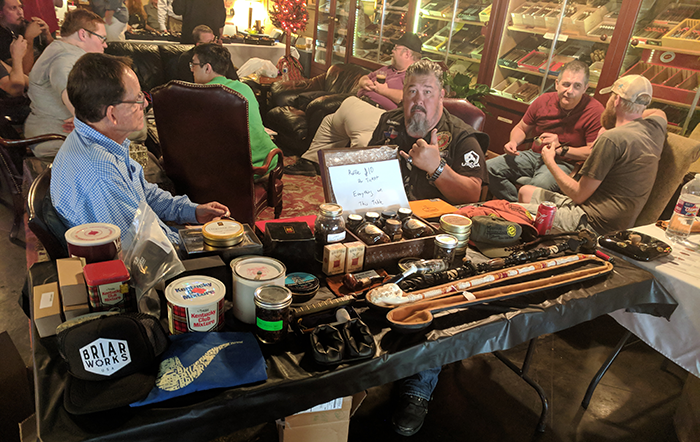 Scandinavian Tobacco Group/Lane was on hand with a large spread of tobacco to try using 50 cent coupons (redeemable for a whole ounce of tobacco), and proceeds were donated to the Texas Pipe Show to help put it on each year. 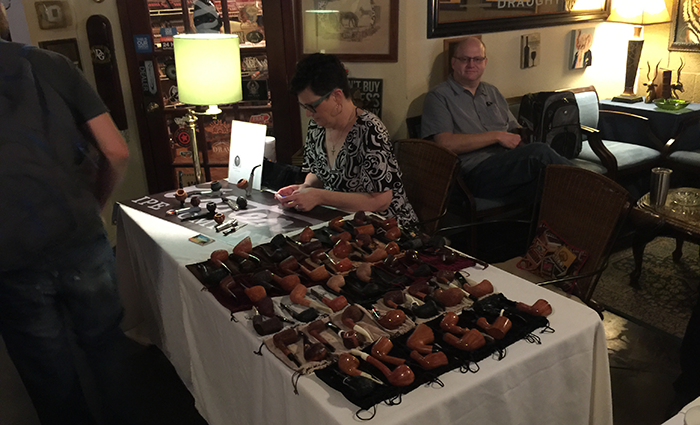 The slow smoke contest used Clay Pipes this year and was sponsored by Briarworks, Missouri Meerchuamn, C&D, Penn Valley Pipes, and some other donations from clubs. 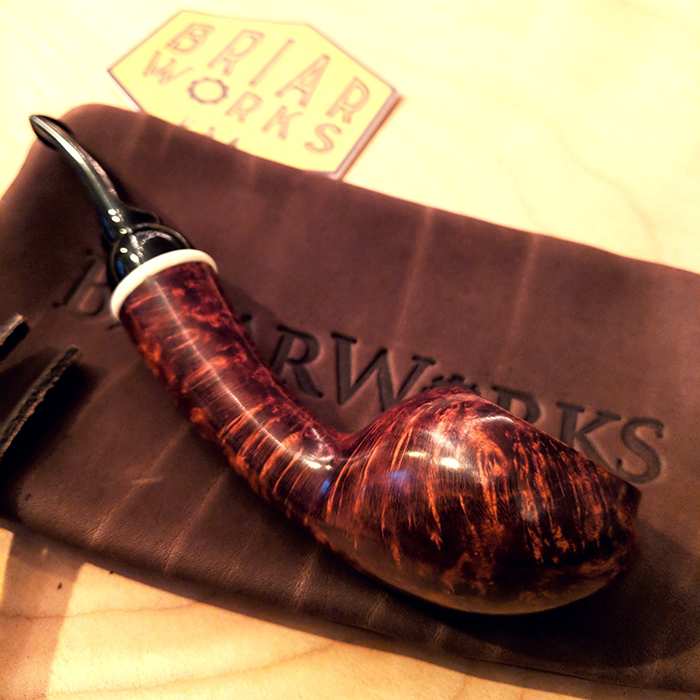 The grand prize was a signature pipe from Briarworks this year. 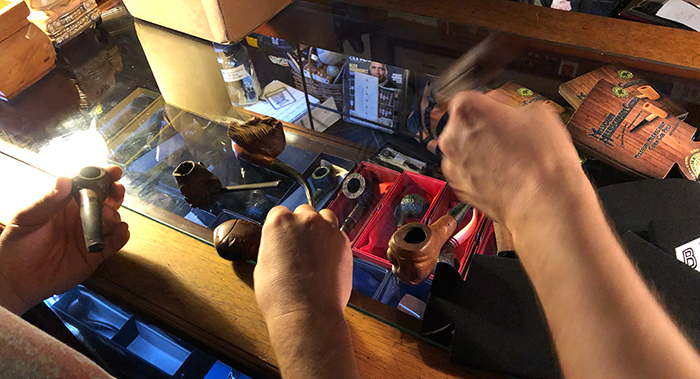 Smoking Joe Showing off his Missouri Meer Set from the slow smoke. Our resident Texas celebrity and the man who’s usually the star of the show was unfortunately not able to make it due to a family emergency. But that didn’t stop Steve Fallon (The Pipe Stud) from donating an entire table worth of raffle items. 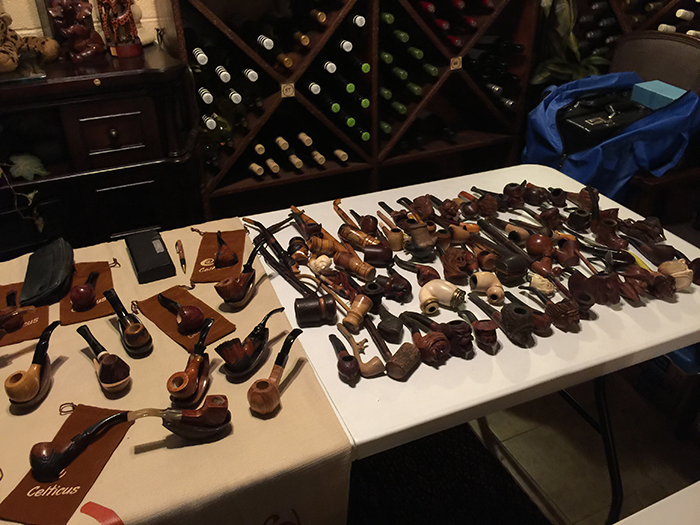 Steve sent an insane amount of great vintage tobaccos and even a crazy looking 5′ tall pipe for the raffle benefiting the clubs and the Pipes for Soldiers Initiative. Sandwiched into the wine cellar section of Pop’s the show managed to fit more carvers and tables in a sort of “carvers cellar.” They also appreciated the close proximity to the bar and the bathroom as traffic allowed to catch attendees going both ways. 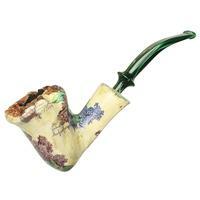 We also had another new comer - Celticus Pipes at the show this year as well. 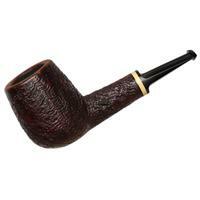 Another interesting attendee is Rhonda Rast who owns Tobacco Cabana - the interesting part is that she’s one of the few Kirsten Pipe reps in the country. And of course the Texas Pipe Show wouldn’t be a show without the Pipe Tart - Sally. Closing down the slow smoke, everyone walked away with something. 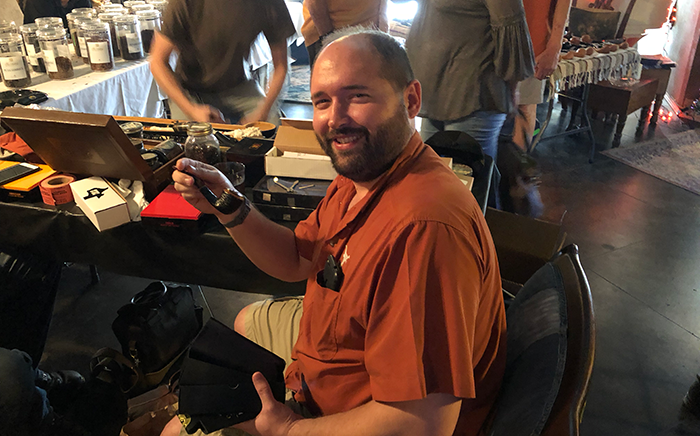 Chris Dumoulin, the President of the Lone Star Pipe club, had a special treat. Although some would question these prizes. Starting from the bottom times he handed out strange and “unique” pipes, some might call one-of-a-kind from a lot of pipes he received earlier in the month. 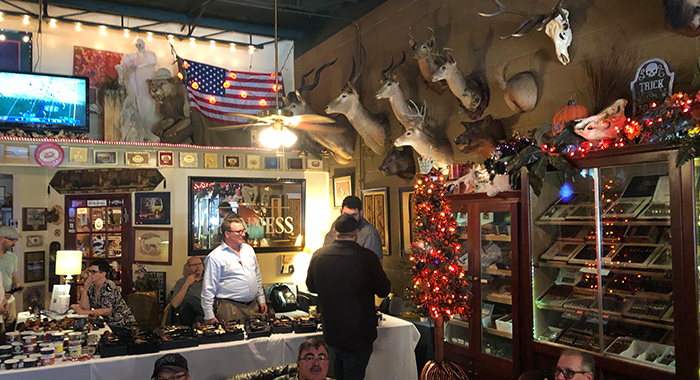 Summing it all up, the show was a great success and the team looks to keep building upon it and continue to foster more local carvers and collectors in the state and surrounding areas. They have already penciled in next October 12th for the show back at the same venue. 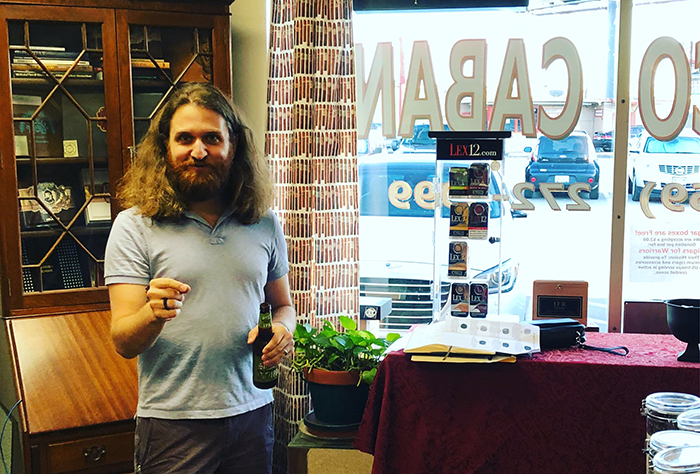 Thanks to all vendors, attendees, and to Chris who added some content and knowledge to this article. Look for next years show to be even bigger.